Running has been something that I easily struggle with. When I say easy, I mean – I would rather walk, brisk walk even but run, well, unless i am running for my life. Okay, maybe that’s not true. I used to run. I remember a time when i would come home from work, change into my running clothes and just run. I didn’t keep up the habit, instead, i took to walking and aerobics but mostly walking in the company of my beloved mum and my sister. For mum and I, we would do so at least twice a week but three was always the goal (if not more) , then my sister would join us on Saturday morning. I think i have fallen in Love. With running that is. Did you know that in the early 70’s running was considered a reserve of the wierdos in the society. Well, at least that is according to Phill Kinght the co-founder of Nike. In the book Shoe Dog, he tells in great detail, the coming to birth of a brand that has not only become an icon but a want for the exercise driven individual and dare I say a “must have” for athletes. From the company’s orignal name ‘Blue Ribbon Sports’ which came up as he recalled the blue ribbons that displayed his medals in his bedroom when presented with a partnership deal that would be the start of the giant we now know as Nike. I don’t think the book was meant to inspire running, but the passion with which he tells the story, you easily fall in love with the running, the brand, the people behind the brand and their effort, the sacrifices that went into presenting us with the shoes and exercise attire that we now wear when exercising or better yet when running errands or chilling at home. It gives encouragement to budding entrepreneurs, instills a spirit tenacity against any odds thrown ones way and the best part is….makes you proud to wear the swoosh symbol. If my pocket allows it, I think I might only purchase their sports wear for my #briningsexierback journey. From the easy read, to the conversation like tone of the book this are my favourite excerpts…in the words of Knight..
Have faith in yourself, but also have faith in faith. Not faith as others define it. Faith as you define it. Faith as faith defines itself in your heart. Let everyone else call your idea crazy… Just keep going. Don’t stop. Don’t even think about stopping until you get there, and don’t give much thought to where “there” is. Whatever comes just don’t stop. If you haven’t read it, I urge you to then let me know your thoughts. If you’ve read it… what did you like about it? There is something about listening to an audio book. I mean, think about it…. we are easily glued to our screen following the scripts of TV series such as Grey’s Anatomy, Scandal or How to Get Away with Murder because the story line is so captivating. The twists and turns, the changes in the scenes, some we like, some we don’t but we are so easily drawn to a good story. It’s even better when we get to listen to a story being told by one who creates those beautiful scripts because our imagination tends to be more engage and we get to build images of the characters to suit that which has been described. So I came across Audible by Amazon and Wow! Just wow! I had never considered audio books before but my first read or listen was The Year of Yes by Shonda Rhmes, the creator of the series named (up there). She’s also the narrator in this case which makes it’s all so real, feels like she’s actually telling the story to you over a cup of coffee. Challenged by a six-word sentence from her sister, “you never say yes to anything”, when discussing one of the several offers she had received which she would ultimately turn down as her normal. Her excuses her children her tween, her job amongst other things. Those words, that statement from her sister, made her rethink her life and as we know it God has a great sense of humour and such is life too, that she started receiving very interesting offers. Save from the fact that she openly classifies herself as a professional liar, she opens up to the world about the facts of her life and the events therein: sitting with the president and first lady at the Kennedy Center Honors as a new trustee of the Kennedy center and among other things but my favourite being the her commencement speech at the Dartmouth College graduation, and the beauty of listening to the audio book, is being transported in time to sitting amongst the students when she was actually giving the speech. You could feel the joy, the nervousness…. the this is it feeling of having finished the x number of years you spent in class to lead to this day. “Dreams are lovely. But they are just dreams. Fleeting, ephemeral. Pretty. But dreams do not come true just because you dream them. I was inspired, I felt…. Oh you can get to read it for yourself by getting the book here or listen to Shonda tell you the story herself by getting Audible and downloading the audio book…PS: You get 2 free credits the first time you join, don’t say I didn’t tell you. Happy reading and if you have read it, what are your thoughts, love or hate? would you recommend it? Leave a comment and share what you think. Life is a cycle. Rather we have been taught that it does exactly that – follow a cycle. If you are like me, you’ve been brought up, having been sold the ideal, that …you are born, you play, start school, study hard, make it into college or university, get a job, date (could have started in college or later when you’re working), get married and to complete the whole picture have children and live happily ever after. Of course no one ever prepares you for when, one or two things (sometimes everything) goes contrary to the expected cycle……. Stay with me tells the in’s and out’s, the ups and downs of a couple (Yejide and Akin) who fall in love at first sight in a social hall, where they were both there with their different dates, to watch a movie, but that night marked the first of their relationship 💕 . Love blossoms and as the cycle follows, marriage which, interesting circumstances make the man pursue this agenda in a rather short but romantic time record( I won’t spoil it for you, get your hands on this read). She expected, no, wanted, rather prayed to be with child, but every month, the now dreaded Auntie flow would visit, and she would get that look from the in-laws. Soon enough, there was a co-wife whom was gladly welcomed as it was purported that if she had a child, the evil spirits would be waded off and she would have a child. Such times try even the strongest of relationships and deepest of love. The sanity of the woman is often questioned when she turns to all manner of “miracles” to be able to feel, or be looked at, better yet thought of as a woman, for being able to bear a child. Many have gone through the motions and have come out stronger and happier in the end, as did the woman (#spoileralert, but I promise you there are twists and turns) and as we speak, many a women are going through such a period in their life – heartbreaking, sanity-questioning, realtionship – testing times that not even religion, or wise words and advises from women, even mothers would suffice to nurse the pain. I think the book gives an insight in what women and families go through when challenged by the broken cycle of life as it takes you through the motions…. You will cry, laugh, smile sweetly at small victories but you will somewhat walk in the shoes of one woman’s journey to be called WOMAN for the need of a gift… A child. Have you read it?… What did you think? What stood out for you? We all have busy lives! There’s always something happening…if not work, it’s school, if you’re not attending a wedding it’s either a baby shower or bridal shower, for the ladies. For the men, a game has to be watched, the car has to be fixed some sleep has to be slept 😂 let’s just call them manly things. But we all have something that needs to be done especially over the weekend after a laborious week making money. Unfortunately amidst all this, I feel like we loose track of making and maintaining the relationships we form. I am a big culprit of this 😥. But not all hope is lost, the fat lady hasn’t sung the last line yet ergo #SquadDay. I met this good people when doing my graduate studies and let’s just say they got me through the period where life was happening – school, work, life, play, you name it. Most times we’d meet up after class at the parking lot or over some terrible coffee and chai in the school cafeteria till we’d get ‘kicked out’ cause they were closing up. School was done, but as I said life happens. So when I get a chance to meet, greet, probably eat and most definitely laugh with this lovely blend of friends, I’ll celebrate them. Last Saturday, we (for those who made it) ended up at one of our friends ‘local’ (pronounced loko), let’s just say I have friends who demand a lot from a local but wow! I loved it. If I had a local, this would feature somewhere on the list. The view from the rooftop bar and lounge at the Tune Hotel. It’s breathtakingly beautiful, gives you a great view of Nairobi, when you catch the sunset and there after into the night when the lights go on under a night sky all around. Just that. Beautiful! My drink of choice for the day was the ‘dawa’ Cocktail and I got to sample their fries and chicken wings which we chowed down and if it wasn’t from the food we’d shared before we ended up here, I would have had servings of thirds and probably fourths because they were delish! The lighting does not do the food justice but you trust me, right? Great chill out spot for friends and/or with your significant other but be sure to carry a jacket cause it does get a little breezy at the open roof top although the warmers help and there is a dance floor to get you to warm up. I’ll be back soon for sure, but wherever I am with this people is just great, even the parking lot 😊. Ever so often, when I don’t get the chance to visit my local vegetable vendor or the road side vegetable ‘kiosk’ within my home area and I happen to find myself in the mall Zucchini has always been my go to for a quick vegetable run. Have you shopped there? Liked it? Liked their pricing? Did you know they have an eatery? Save from the breakfast serving I’ve heard a couple of people talk about, they actually serve food…… And I love food. I can eat. Girls and boys, dudes and dudettes if you’ve met me, know of me, you know my love for potatoes! Fry them, boil them, mash them, bake them or stew them… For breakfast, lunch, dinner, tea time, snack time I can have potatoes all day every day.. So it goes without saying my order had to have them. 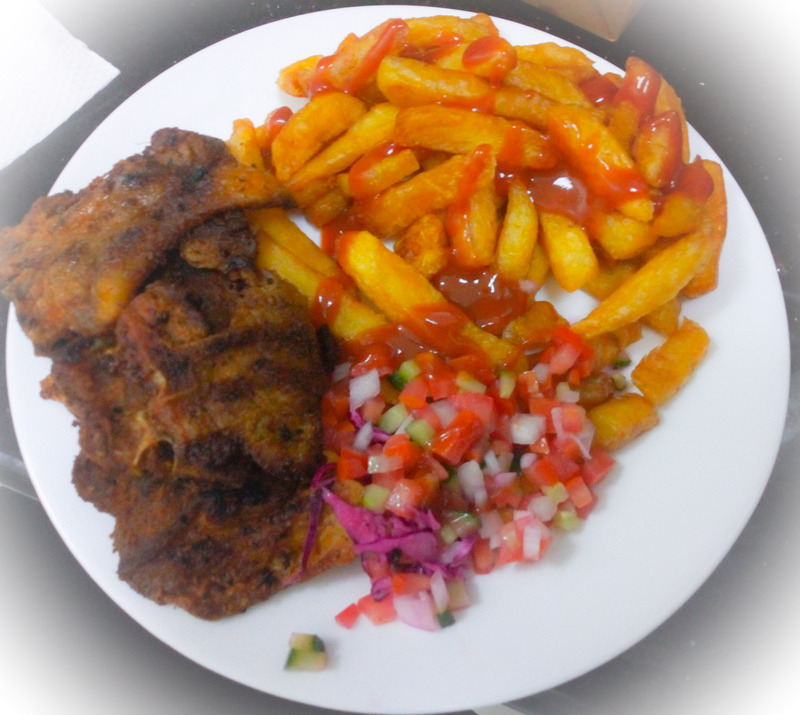 Order: Fries, Tikka lamb chops with a side serving of veges (read kachumbari). 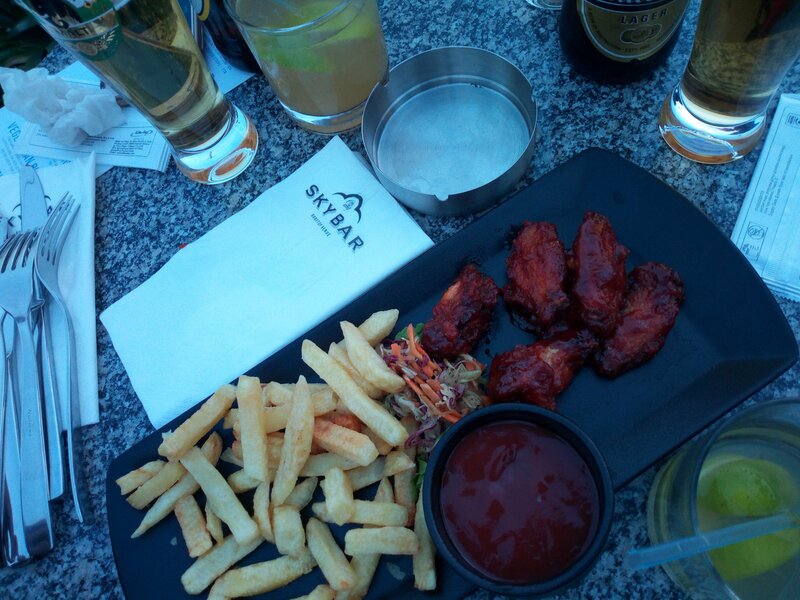 The fries were packed really well, super friendly for eating when on the go, even when driving, enough ketchup in the mini plastic cup, a serving for the kachumbari in a similar cup. Maybe my expectations were, probably still are ridiculous, but for an eatery run by a grocer, I expected the vegetable serving to be generous, nearly half if not more than the serving of the fries…. But this is Africa, I am yet to meet anyone who follows the nutritionist’s recommended serving portions. The napkin used to wrap the lamb chops was a turn off, I would have preferred simple parchment paper and dealt with any excess oil on my own or no napkin at all. It absorb the moisture and had I waited any longer it would have been a task peeling it off the food because of the steam. 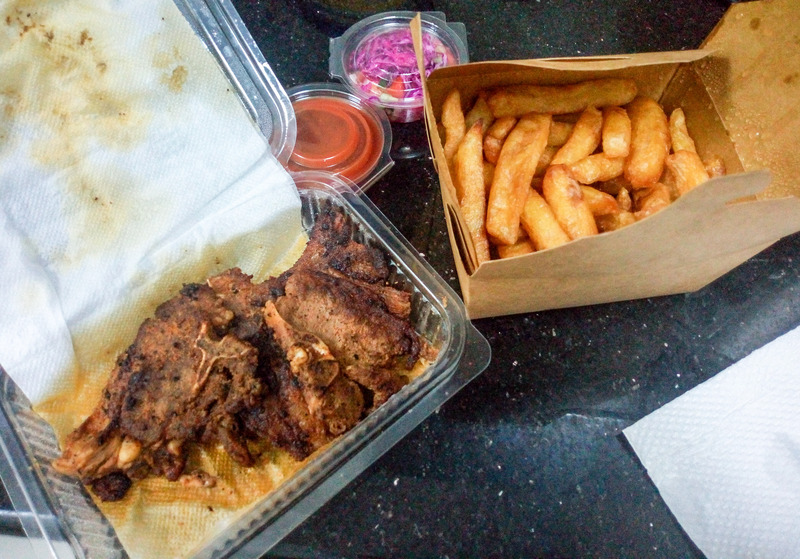 But all hope was not lost, the fries and the serving portion did well enough to redeem the packaging and the lamb chops that were a bit on the chewy side given that I like my chips chunky (they tend to absorb less fat) plus they make me feel like I’m having a plate of fries at home. Just looking at that 😋 makes me realise its lunch time! 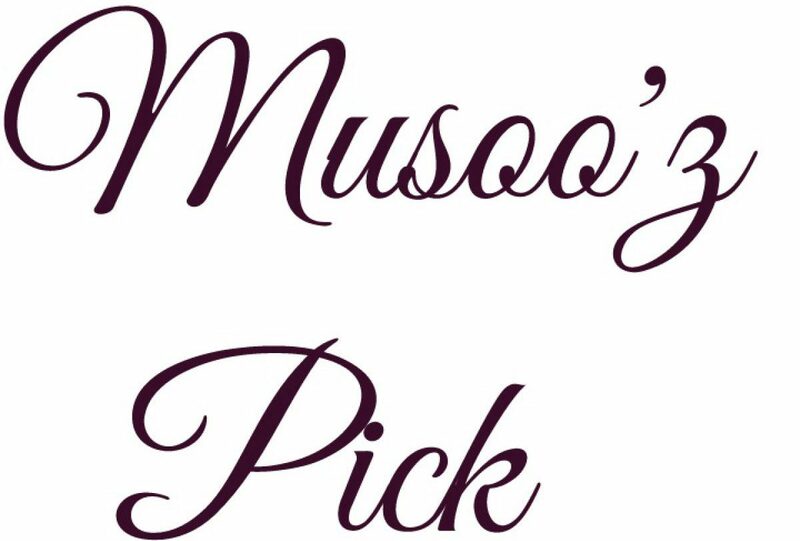 I sure will sample more of their menu soon….but if you have what would you recommend?? Where do you think you would be without your mother/ mum/ mom/ mummy/ mama? Would you have made it this far? Granted, there are those who are not close with their mothers, some don’t even know who their biological mother is. I tend to think, rather believe that we have at one point had a mother figure in our life and there are lessons they have taught us, experiences they have given us, which make us who we are and have gotten us to where we are now. Earlier on last year (2016) , I became a mother and it is amazing. It is beautiful. It is a gift and I am enjoying every bit of it. Unfortunately, as life would have it, my own mother passed on earlier on this year (2017). She lived a good life, in fact a full life and most important of all she kept it real. I hope to share the truths that mum shared with her children as keep sake for my siblings, myself and my children and you as well. Keep reading and feel free to share your mum’s truths as well.